I remember accompanying Cardinal Connell to an event welcoming a new Board of Management in the Mater Hospital. It was during the time of crisis in the Diocese of Ferns in 2002. After the formal ceremony and a reception we were escorted by one of the board members back along the hospital corridors to where the Cardinal’s car was parked. Our progress was interrupted several times as the Cardinal stopped along the way talking with concern and care to patients and their family members, asking how they were, how long they had been in. One Filipino family, in particular, were amazed and delighted that he came into the ward to bless their father and pray with them. Two of the hospital cleaning staff recognised him, dropped their mops and exclaimed with lilting inner city accents: “You look so much nicer than you do on the telly! Can I give ya a kiss?” The Cardinal dutifully obliged. The board member pulled me to one side by the elbow and whispered to me with a kind of hushed awe: “I’m seeing a side of this man I never knew existed.” Working in the Diocesan Communications Office at the time, I explained that I had seen him like that on many, many occasions. I also thought to myself: I am not doing such a good job at communicating Cardinal Connell’s immense capacity for kindness. The evening of the following day I was with the Cardinal again, this time to drive him to the Mass of the Lord’s Supper in St. Oliver’s Park, Clondalkin, in the tiny Chapel of the Travelling People. There he was totally at ease in the packed chapel reverently washing the feet of members of the community, praying with them and sharing a cup of tea and a chat as a guest of one of the Traveller families in their home afterwards. No television cameras were present. That was a pity. The whole evening was so moving and joyful that it deserved wider attention for everyone involved. 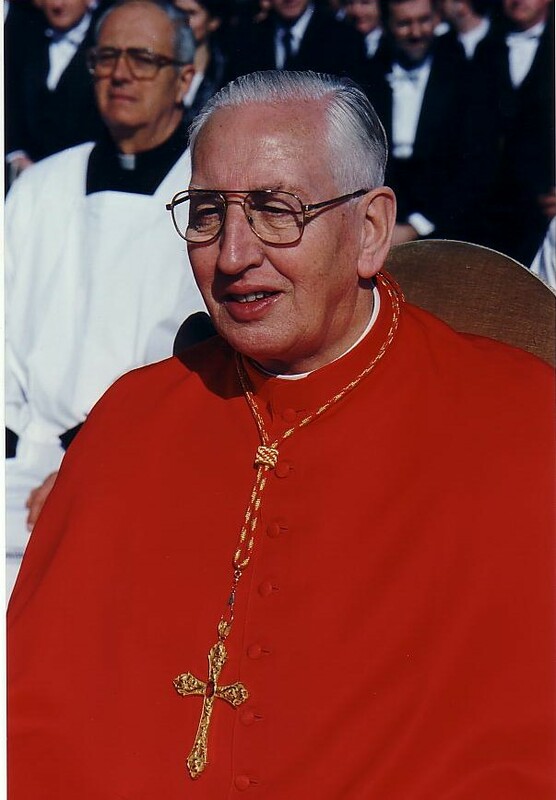 During World Youth Day celebrations in 2000, in sweltering conditions in Ostia outside Rome, Archbishop Connell realised that the hundreds of English speaking young people from all over the globe assembled before him to listen to his catechesis, red-faced and swigging from water bottles, needed to be treated with gentleness. He put aside his text and spoke for much shorter than the time allotted and in simple language drawn from his vast intellect about the beauty of Christ. He was a big hit. Young pilgrims came up to thank him after and said if they had a vote in the next conclave, they would be choosing him! The Cardinal stayed at the Irish College in Rome when attending various meetings and consistories in the Vatican. Polish students resident there were surprised to find someone of such high ecclesial rank engaging them in easy conversation, asking them about their studies and interests. In much of Poland, the people’s experience of bishops and cardinals was more one of distant reserve. This lead one of the Poles to ask quite bluntly: “Why are you so nice to us?” “But you are my brother priests!” Cardinal Connell replied. To their delight, he accepted invitations to attend their ordinations. His brother priests in Dublin too are aware of his pastoral kindness to many and of his deep integrity, even to the point of scrupulousness, a trait and sensitivity that could be misunderstood and misconstrued. It’s often when people have met Cardinal Connell, the Victorian gentleman, that rehashed lazy stereotypes of him were rightly melted. That gentlemanliness will not be forgotten.